SILVER ICE® COATINGS PROTECT STAINLESS STEEL FROM FINGERPRINTS, STAINS AND ABRASIONS, THEREBY PRESERVING ITS SUPERIOR QUALITY AND ELEGANCE. 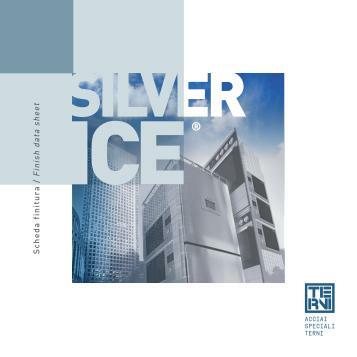 Transparent and only 2-3 μm thick (about 30 times thinner than a human hair), Silver Ice® coatings are almost invisible and do not impair the visual appearance of stainless steel surfaces. 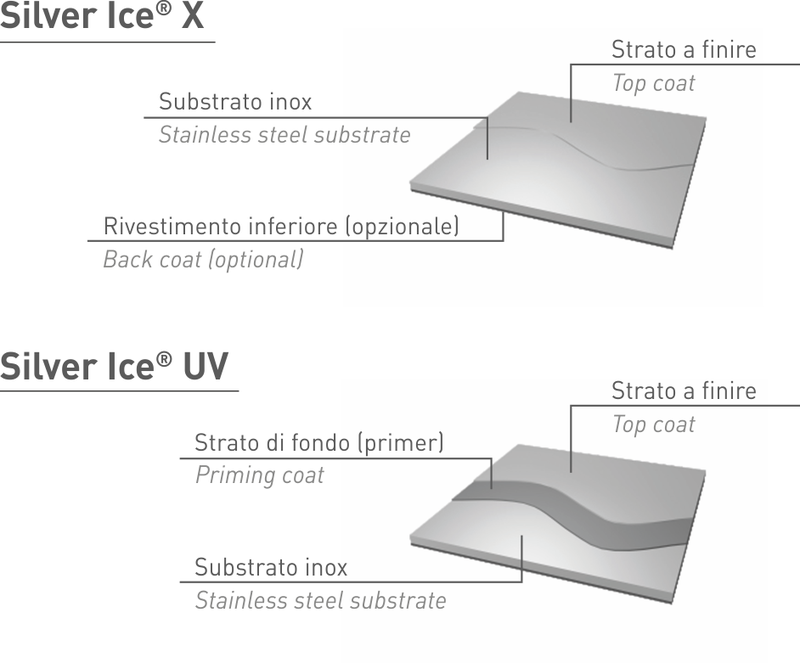 Silver Ice® X, the innovative coating based on solgel nanotechnology, perfectly balances ductility and surface hardness. Moreover, the varnish film dramatically extends the corrosion resistance of ferritic stainless steel grades. Silver Ice® UV is cured via an extremely environment-friendly process based on ultra-violet light. This coating features an exceptional resistance to scratches, abrasions and stains; its sensitivity to heat-induced yellowing is very low. 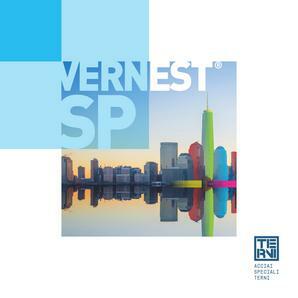 certified according to EN 10204 / 3.1.